So where did I find these little cuties? I don’t recognize them but your written clue makes me think it’s the Small World ride. Now I have that song stuck in my head…. Yep – I’m gonna have to go with the gang – Small World it is! Disney World/Land? I thought it was a duck but it’s a platypus! 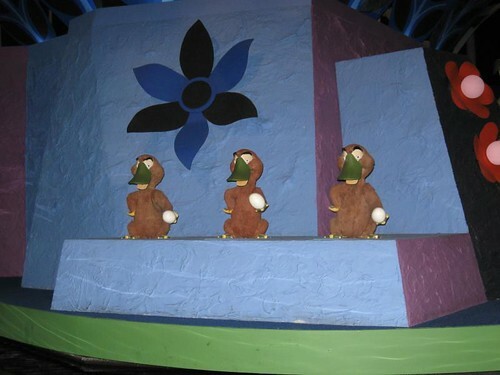 I’m going to say the Polynesian room of “It’s a small world”. Small world at the magic Kingdom! When we went it was so hard to take out the camera. I had a mug when I was little when ever you lifted it up it sang its a small world. Drove my Dad nuts, well until he “accidentally” put it in the microwave.